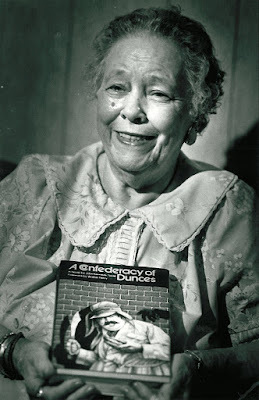 Artists, singers, actors, poets, authors – many endure, few make it. There are many factors that contribute to success, talent not always being one of them. There are those that go their entire lives without being recognised, despite producing incredible work. Even after death, it takes someone to champion the cause and a whole lot of luck. Here then, are some of the stories of the neglected. 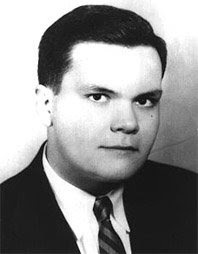 John Kennedy Toole published literally nothing during his lifetime. He was born in 1937 and would be dead before his 32nd birthday. He was the only child of a middle class family from New Orleans. He had a complicated though close relationship with his mother who taught him an appreciation of culture. She also said he was born with a light in his eyes. He tried the stage at 10. He was good at comic impressions. He wrote his first novel at 16, The Neon Bible (unpublished) which he later tried to forget. He studied English and became a teacher, noted for his wit but was soon drafted into the army. A Confederacy of Dunces in his quiet private office (see photo below). The novel centres around a roly-poly lazy figure, Ignatius J. Reilly who lives with his mother and is a cart vendor, something Toole had done while at university. It’s a satirical novel yet perhaps imbued with the overtones of the rebellious sixties when it was written. It's also quite autobiographical. Looking at John and the cover of his book its hard to not draw similarities. John attempted to get the novel published and received encouragement and a lot of hope with the editor from Simon & Shuster, Robert Gottilieb. He suggested changes which Toole made. After some further discussion and edits, Gottilieb wanted more revisions. Toole felt he could not keep changing the novel as many characters were based on real people. Gottilieb eventually opted not to take on the novel, sending Toole into a depression. John left home and went on a trip around the country. Little is known of these three months. There is suggestion that perhaps he was gay which may have contributed to his feelings of persecution. Nevertheless, on March 26, 1969 he gassed himself in his car. It was some years later (1976) that his mother contacted a novelist at a university to see if he would look at her son’s only major work. She had tried with others numerous times, only to be rejected. 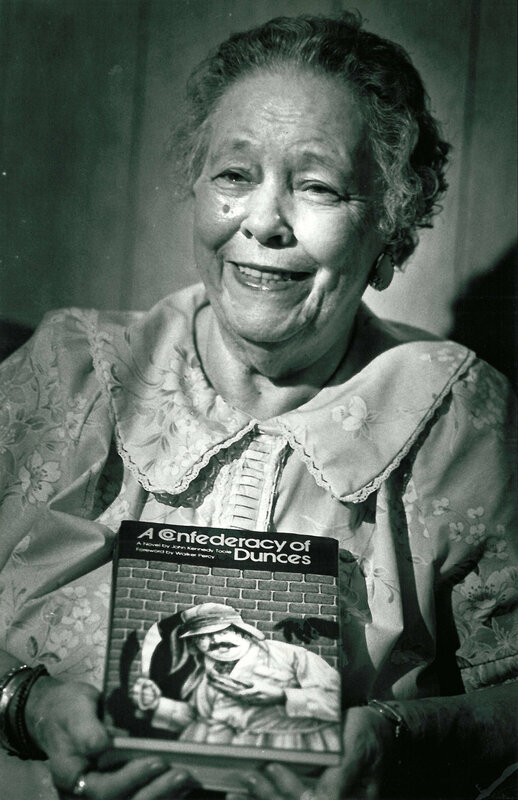 Begrudgingly, perhaps feeling sorry for her, Walker Percy decided to look at it and was surprised. Eventually Dunces made it into print. Not only that, it won the Pulitzer Prize for fiction in 1981. All of cold comfort to Toole of course, but not doubt, a reassurance of sorts to his mother Thelma. Hollywood has tried to turn it into a movie so many times that Steven Soderburgh quipped in 2010 that the project was cursed. (Read of one such attempt here). Perhaps John had the last laugh. There are a lot of failed writers. More than every author who is published. Many for good reason yet the emotion beneath the disappointment is legitimate. You can understand the devastation. Some take it harder than others. What makes John different is that he was within view of publication, as about as close as you can get, yet denied the platform. It must be said that it was some years between the time Dunces was finished and his suicide. He found it hard to get past it. Like others, John believed in his work yet he had actually received professional feedback. He knew it was good. And he listened to Gottilieb. John made many changes. Yet he had to draw the line. He simply didn't want to compromise. He stuck to his vision like a good artist should. And the world soon discovered that he was right to do so. Tragically it took his death before anyone would review the work as it stood. 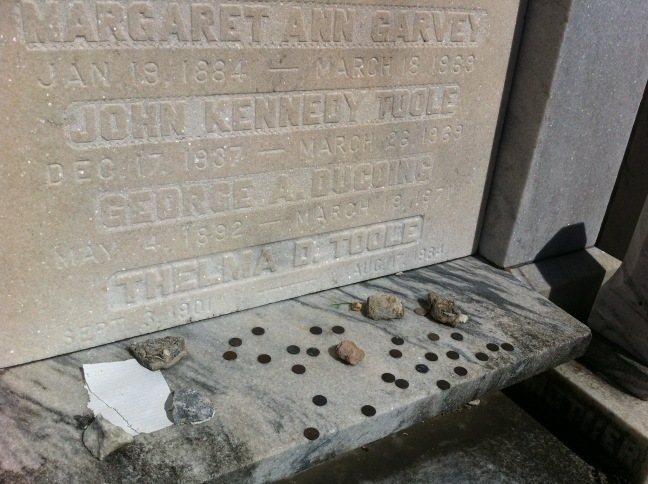 How many John Kennedy Toole's are out there, their manuscripts having never made it into print? Have we possibly missed some of the best novels ever written? There must be hundreds if not thousands. What a fickle chaotic universe. More in this series to come. Hmmmm, wrote what I thought was a thoughtful and probably controversial comment to your post and then pushed publish and it disappeared. Maybe blogger is telling me to keep my thoughts to myself. But here we go again, I can't resist. The Confederacy of Dunces is a pretty famous book. I have not read it. It's sad to hear the author killed himself never knowing of the aclaim his book would get. Just lately I have been interested in authors whose first novel is huge, and then they write little or nothing after that. This interest started after reading about Markus Zusak, the author of the hugely successful The Book Thief. Zusak based the book on stories his German parents or grandparents told him, so it was based on stories of events. It took Zusak eight years to come up with a follow up book, a collection of short stories. OToole's book was autobiograhical. So if the his book had been published while he was alive, to the same aclaim, would he have been able to come up with a follow up book? Harper Lee only ever wrote one novel, so did Salinger, so maybe some writers, many writers, only have one story in them. I do wonder if OToole had been alive when his book was published, whether the struggle to come up with a follow up might have lead him to end his life in a similar fashion to the way he did. Yes, I'm very surprised Zusak took so long to come up with a follow up - and stories is hardly adequate I think. Personally I didn't think much of the book - seemed derivative to me. Anyway, O'Toole had written another book prior but yes, I tend to think writers write, so I do wonder why some only write one. Salinger only published one, Catcher in the Rye, but apparently he wrote many more - just didn't want them released for some odd reason (big documentary coming apparently). As for John, I think he had other issues in his life, mainly his parents, but no doubt he was very depressed after his close call with publishing. It must be said that he didn't try to publish it elsewhere. I think the cynicism should be directed at publishers who love a dead writer - which i suppose is part of the point of this series.